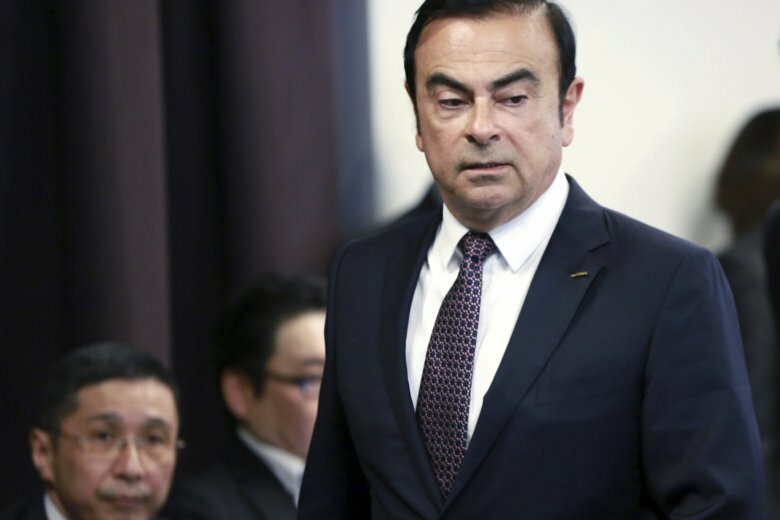 TOKYO (AP) — A Japanese court denied prosecutors’ request Thursday to extend the detention of former Nissan chairman Carlos Ghosn, who has been charged with underreporting his pay. The Tokyo District Court said it rejected the request for another 10-day detention for Ghosn over an additional allegation dealing with financial reports in recent years. The denial is extremely rare in a country where requests from investigative authorities for extended detention are almost automatically approved. If a bail request by his lawyer is accepted by the court, Ghosn may be released within days. Ghosn’s Japanese defense lawyer Motonari Ohtsuru visited the Tokyo Detention Center later Thursday apparently for a meeting with his client, but walked past a pack of reporters without saying a word and left. Prosecutors appealed the decision but the court rejected it. They could still take further legal steps in a bid to allow them to investigate Ghosn and co-defendant and former Nissan executive Greg Kelly longer. Shin Kukimoto, deputy chief prosecutor at Tokyo District Prosecutors’ Office, said that the court gave no reason for refusing an extension. Ghosn was arrested Nov. 19 along with Kelly over allegations that they underreported Ghosn’s pay by about 5 billion yen ($44 million) in 2011-2015. Both have since been charged with violating Japan’s Financial Instruments and Exchange Act in those years. Tokyo prosecutors last week added a second allegation, that the two also underreported another 4 billion yen ($36 million) in Ghosn’s pay for 2016-2018, for which their first 10-day detention was to expire later Thursday. Prosecutors allege Ghosn’s pay was underreported by a total of nearly 10 billion yen ($80 million). The maximum penalty for violating the financial law is up to 10 years in prison, a 10 million yen ($89,000) fine, or both. The conviction rate in Japan is more than 99 percent for any crime. The arrest of an industry icon has triggered international attention. Prosecutors have been criticized for separating the same allegation into two periods as a tactic to detain Ghosn and Kelly longer. Kukimoto repeatedly said their investigation has been carried out appropriately under the Japanese criminal justice system and that they were treated like any other suspect of defendant. They are communicating with prosecutors through an English-speaking translator each during interrogation, but without the presence of a lawyer. Ghosn has met his lawyers and diplomats from France, Brazil and Lebanon, where he has citizenship. Prosecutors say Ghosn and Kelly are flight risks. No trial date has been set. If they are released on bail, they will most likely have to stay in Japan at a place decided by the court, often at home, Kukimoto said. Requests for their bail had not been submitted by their lawyers late Thursday. Offices of lawyers for Ghosn and Kelly said they could not comment. The scandal also raised concerns over the Japanese automaker and the future of its alliance with Renault SA of France. Ghosn’s downfall is seen by some as a maneuver by others at Nissan to gain power in the alliance. Kelly’s wife, Donna Kelly, said in a video message carried by TV Asahi and other networks that her husband was “wrongly accused as part of a power grab” at Nissan. “Greg and Mr. Ghosn fully believe that they did not break the law,” she said. Renault in 1999 sent Ghosn to turn around Nissan, then on the verge of bankruptcy, and he led its rise to the world’s second-largest automaker. Nissan has dismissed Ghosn as chairman and Kelly as a representative director since the allegations were made. Nissan has put off a decision on Ghosn’s replacement. This story has been corrected to say the amount of underreported pay in last three years amounted to $36 million, not $36 billion.